In 1975, he graduated from KPTI with a degree in mechanical engineering. 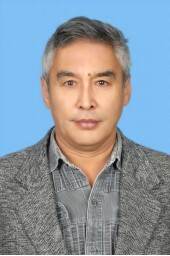 Since 1982 he has been working at KarSTU at the department of Higher Mathematics as a senior teacher. Author of more than 50 scientific and methodical works.